We’d love your help. Let us know what’s wrong with this preview of Up Country by Maxine Kumin. To ask other readers questions about Up Country, please sign up. First read, two stars, second read three, now a four. That might be my definition of good poetry: what looks simple at first glance needs more time. More than he had wanted. Those e First read, two stars, second read three, now a four. That might be my definition of good poetry: what looks simple at first glance needs more time. 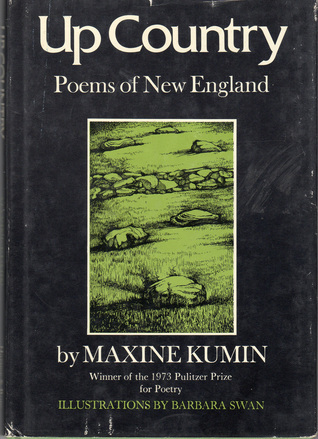 Anne Sexton titled this book for Maxine Kumin. Therefore, I am obligated to read it.